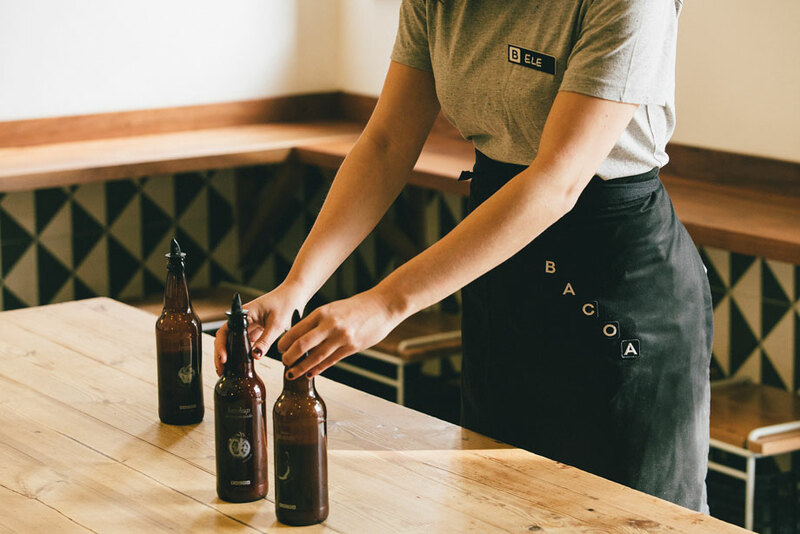 Bacoa Burger - Bird Aprons, handcrafted in Barcelona. Bird Aprons designs are timeless, unisex and handcrafted in Barcelona. 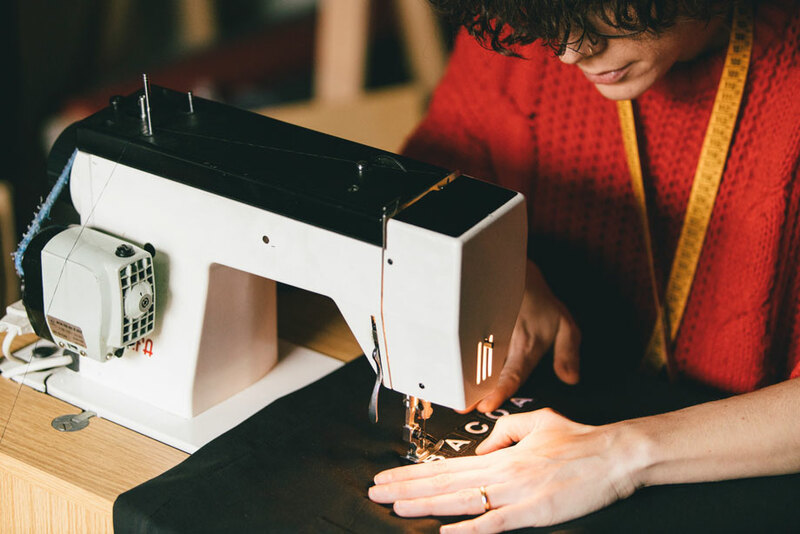 Just a few steps from Little Bacoa, on the other side of “Mercat de Santa Caterina”, is located the small workshop of Marta and Tiziana, two young dressmakers who started the adventure of creating their own brand of design aprons two years ago: Bird Aprons. Bird Aprons won us over with the love and care they put into each piece they make: from the choice of the raw material until the slow confection. In fact, sewing, as well as cooking, requires patience, passion and good taste. 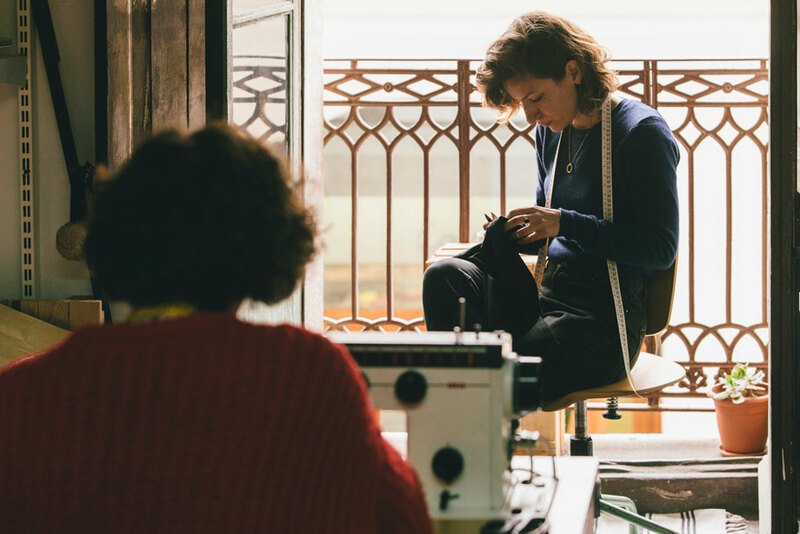 For their collections, Marta and Tiziana usually rescue and reuse fabrics from old factories and storehouses, which they call "clothes with forgotten stories". Coming from large families, where inheriting clothes was the usual thing, taught them to love clothes with history, those that can change your mood by only wearing them. That’s how Bacoa’s apron was born, a very simple design, classic cut, 100% national and sewn with lots of care. It’s not about mass production and sewing mechanically, it’s about making each piece one by one, giving it the time and importance it deserves. It’s important to make durable garments, especially if we talk about clothes of daily use. That’s why the seams must be very well topped off and carefully sewed. Marta and Tiziana always remind us of the old saying that haste makes waste.